As you may know, I am a Computer Systems Analyst. I work with PC’s and have been doing that for many, many years. She was new to the County and found them in a desk drawer and did not know what they were. They were from a PC that desk had at it a long time ago. We replace PC’s in that department every three or four years. 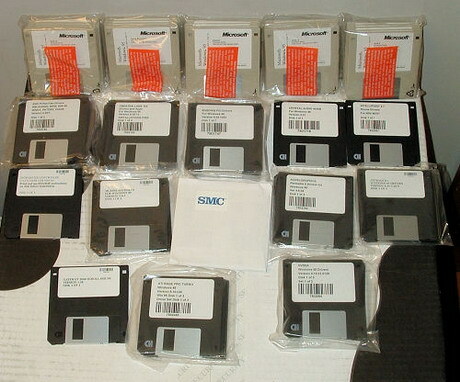 This was from 1998 – just eight years ago – Windows 95 on floppy disks – 24 disks – drivers for pc – 35 disks. I also unpacked a new PC yesterday, all that above now comes on one CD with room to spare. See the difference 8 years make! 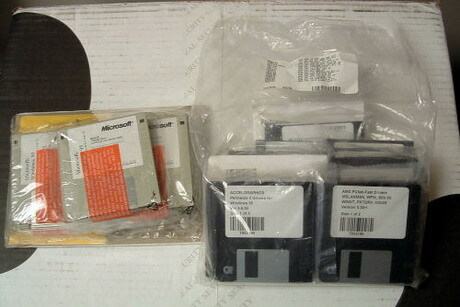 Yep, I would not want to go back, we don’t even put Floppy Disk drives in our new computers – who would use them???? 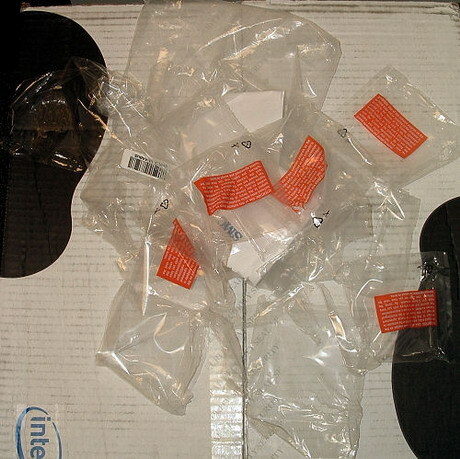 Just so you can see what they look like un-bagged from the big bags. All the disks in a row! One last shot – the baggage – waste from un-packing all those suckers! 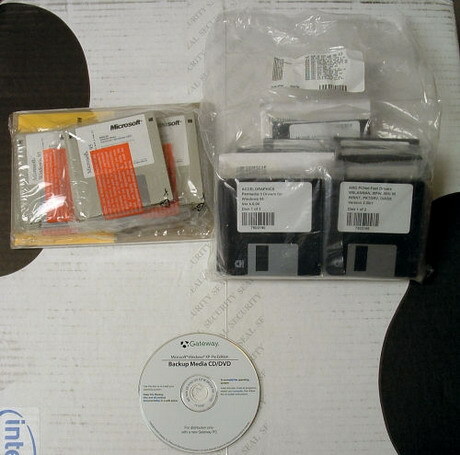 Don’t tell me about the “good old days” – I hope I never see another floppy disk!